With summer creeping up right around the corner, now is the time to start thinking about the things you can do around the house to help keep your heating, ventilation and air conditioning unit, or HVAC, at its peak. When you work to make your home and your HVAC unit complement each other, you can save more money on your utility bill. If you’re trying to avoid replacing your unit, you can help keep it going for years to come by making sure it’s not going to be overloaded or overworked unnecessarily. You can also enjoy a much more comfortable home at the perfect temperature, no matter what the thermostat reads outside. Here are 8 ways to ensure that your HVAC will be ready to take on the summer. The first thing to check when it comes to your HVAC unit is your air filter. Depending on your system, you may need to use a disposable type filter or a more permanent one. With a disposable filter, it’s essential to replace your air filter at least once a month. Other types of filters need to be thoroughly cleaned roughly once a month in order to keep things working effectively. You may need to clean or replace your filters more frequently if you have pets in your home or are a smoker. Once you’ve got a fresh or newly cleaned air filter, your HVAC won’t have any dust or dirt blocking or restricting the cool air from circulating freely throughout your home. If applicable, the next thing to do is to go outside and examine your HVAC unit. You want to make sure the area is clear and free from debris. If there are any plants, branches or other items that are blocking the area or touching your air conditioner, you need to clear it away. Make sure you do not grow any shrubbery too close to the unit. This also means you must make sure all leaves are removed completely away from the appliance, especially during the autumn season. While we are discussing how to prepare your HVAC for the summer, this is a task that takes year-long proactive treatment. If you choose to wait until spring to clean everything away, material that has been collecting in the unit all year long may be stuck between different parts of the HVAC interior, making it difficult to thoroughly and completely clean. A good rule of thumb is to have an open space of around two feet surrounding your HVAC to avoid debris getting inside of the machine in the first place. One of the best things you can do to help with your energy bill is to install a programmable thermostat. With newer technologies, it is now possible to customize your air conditioning schedule even when you aren’t home. Depending on the weather and your personal schedule, you can make adjustments to the temperature you keep on the inside of your house. If you know you’re not going to be home, you can schedule your unit to turn off or let the indoor temperature rise a little. Not only does this help you save money, but running a climate controlled schedule can help prevent your air conditioner from working too hard during the warmest months. Positioning several different kinds of fans throughout your home can make a huge difference in the comfort and feel of the air inside. You have a couple of different options here: ceiling fans, tabletop fans, and floor fans. Some of the best things you can have throughout your house are ceiling fans. Make sure your ceiling fans are set to rotate clockwise during the summer. This way, the air can flow downward, preventing excess heat from rising up into the higher levels of your home and making your air conditioner have to pick up the slack. When the weather begins to cool off again, you can reverse your ceiling fan to spin the other direction. Additionally, you should have other types of smaller fans throughout your rooms in order to maximize the cool air that runs through your house. Smaller tabletop fans and floor fans are easily moved from room to room and cool extremely effectively. There are also many other ways to keep your home cool without having to make your air conditioner work too hard. Consider keeping a breezy window or two open, or using a portable air conditioner. If you have a lot of windows throughout your home, you may have noticed that the indoor temperature can rise significantly due to the sun penetrating through the glass. Your air conditioner then has to kick into overdrive in order to combat the quick heat up in the afternoon. One way to battle this phenomenon is to invest in high quality window treatments, such as blinds or drapes. Putting window coverings over larger, sun-exposed areas can help prevent the afternoon buildup of heat that normally takes place in the summer months. Your HVAC unit can only work at its best if there are no obstructions to the flow of air inside of the walls of your home. Beyond having a professional go through the entire duct system, there is one easy way to check to make sure there are no visible blockages. What you can do yourself is walk through your home and examine each vent. Clear out any dust or debris and make sure the vents in the rooms you want to use your air conditioning are open. This can help your HVAC get an even amount of coverage throughout the square footage of your property. This is basic maintenance that can improve the function of your HVAC, but if you still see issues you might have to hire a professional to find the deeper problem. Next, it’s a smart plan to avoid using big appliances that generate heat throughout the day. If you’re cooking a large dinner, instead of assigning the job to your oven, consider using an outside cooking source like your grill. Turning on the oven can add to the extra warmth of your home and push your air conditioning unit to the limits. Additionally, instead of throwing all of your laundry into the dryer only to have that appliance’s heat push the temperature of your home up even more, try hanging your clothes to dry outdoors. Let the sun help you rather than hinder you, and your clothes can have that fresh smell of sunshine. These practices are not only great for promoting the health of your HVAC system, but you will also see significant energy savings too. 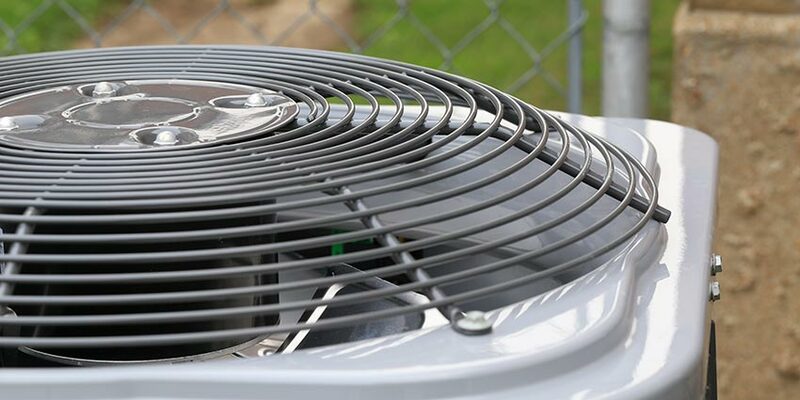 If you’ve tried all of these tips and your HVAC unit is still not sufficiently cooling your home, it may be time to invest in an upgraded system. An older unit may actually be costing you more money each year due to cooling loss and excess waste. Newer models of air conditioners are being made even more energy efficient and sometimes offer more ways to help lower energy bills. Choosing a new HVAC system is something that you can do with the help of a reputable professional. As always, make sure you are buying from a company that you’ve done your research on to avoid buying a dud unit or overpaying. When summer arrives this year, you want to be prepared to enjoy the warmer temperatures and longer days. If you take the time to do your own check up and add simple home enhancements to help your air conditioner, you can keep your HVAC unit running more efficiently. These easy tips can keep the cool air flowing and your family feeling comfortable, no matter how high the temperature rises outside in the hot summer days. These tips can also lead to more money savings throughout the rest of the year–who doesn’t love that?